Sedation Dentistry–Your Key to a Stress-Free Dental Visit! Does the thought of going to the dentist bring on a pit in your stomach? Do your hands get cold and clammy while sitting in the waiting room, waiting for your name to be called and your appointment to begin? If so, you are not alone! 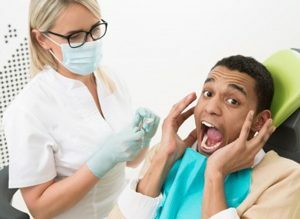 Because of the often uncomfortable procedures that can be required in dental work, as well as the general unpleasantness of having someone poking around in our mouths, many people experience some anxiety around going to the dentist. To fix this problem and make dental appointments more pleasant, sedation dentistry was developed. Depending on the procedure that is being done, varying levels of sedation may be deemed to be appropriate options for the patient to consider, from minimal sedation (you are fully awake, but feel relaxed) to general anesthesia (you are completely unconscious). Sedation is also accompanied by local anesthetic, or a numbing medication at the site being worked on. Sedation helps you to relax, while local anesthesia prevents you from feeling pain. What could be better than eliminating pain and anxiety from your dental visit? During dental procedures, there are various types of sedation medications that are available that typically follow the level of sedation spectrum from minimal sedation to unconsciousness. 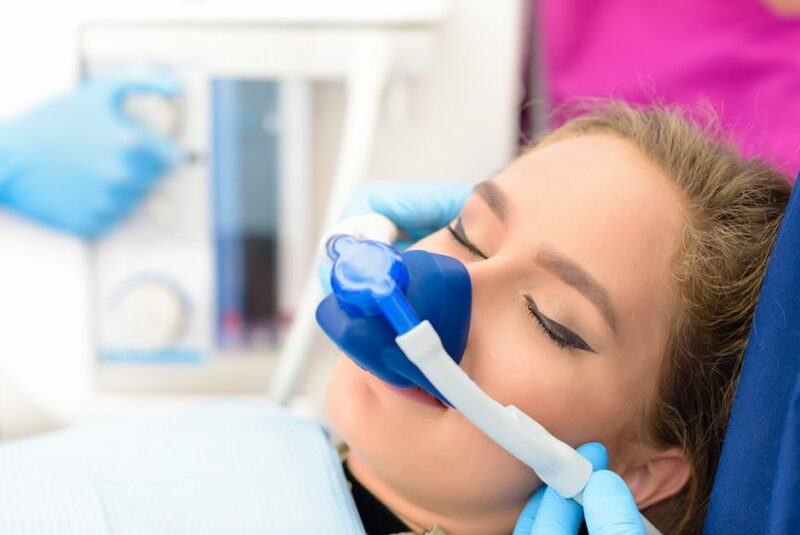 Inhaled minimal sedation, otherwise known as “laughing gas” or by its official name, nitrous oxide, is the most common form of sedation in the dental office. It produces a minimal level of sedation, and will simply help you feel relaxed while remaining fully awake. Oral sedation, in which you are administered a pill to take orally, will produce minimal to moderate sedation depending on the exact medication. You will remain fully awake, but will feel relaxed and may be less aware of what is occurring during the procedure. IV sedation is where the sedative is administered via an IV. This produces a moderate level of sedation. While you will be awake, you will feel less aware of what is occurring during the procedure. You will also require some recovery time after leaving the office. General anesthesia is a form of sedation that puts you to sleep for the duration of the procedure. It is typically administered through injection into the vein as well as inhalation. This often requires a short period of in-office recovery. While there is always risk involved when receiving any type of sedative or anesthesia, it is safe when administered by experienced and qualified dental professionals, such as Dr. Ron and Dr. Chris who are qualified sedation dentists in Orlando, Florida. 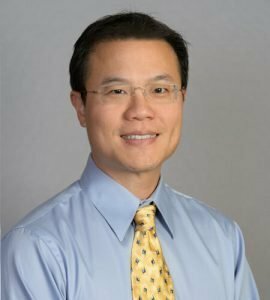 Dr. Ron, who is certified by the American Dental Society of Anesthesiology, received his Doctorate in Dentistry with honors from Harvard University and a medical degree from Louisiana State University. His education included extensive training in sedation, which he has actively used over the span of his 20+ year career. 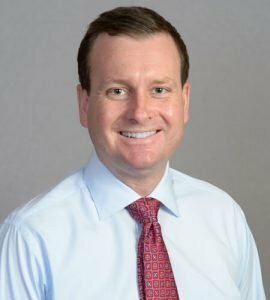 Dr. Chris, who completed a six-year surgical residency at the Mayo Clinic after receiving his Dental Degree from the University of Florida, trained under the nation’s top-ranked department of anesthesia, providing him with excellent expertise in sedation and office-based anesthesia. Be sure that your dental care provider reviews your medical history before determining whether sedation is appropriate for you. Also, be sure that they are aware of any medications you currently take. Ask for a written version of the risks associated with the sedative. Review it carefully and ask about anything that is unclear to you. Ask what dose of the sedative is recommended by the FDA as being appropriate for someone of your age, weight, and health. Be sure that the dental provider is prepared in case of emergency. Be sure that they will be monitoring your vitals as well as have oxygen and sedative-reversing medication that can be used if necessary. Safely Try Sedation Dentistry with Dr. Ron and Dr. Chris! To safely alleviate your anxiety surrounding dental work, try sedation dentistry from Orlando dentists, Dr. Ron and Dr. Chris! The doctors are qualified, experienced, and ready to give you the smile you’ve always wished for! Oral Surgical Facial Arts has two convenient locations in Clermont and Orlando and are ready to serve your needs. Visit their site to learn more about sedation dentistry or call their office at 352-243-5599 to schedule a consultation. Also, be sure to check out their reviews on Google and their site to learn why their patients consider Oral Surgical Facial Arts to be their preferred dentist in Orlando. And be sure to share this article with your friends and family members who are considering giving sedation dentistry a shot! Why Choose Cedar Creek Dental? SolidWheel.com > Dental > Sedation Dentistry–Your Key to a Stress-Free Dental Visit!